Thousands of Oklahomans are treated each year by clinical faculty at the OU Health Sciences Center or by those who have been trained by these clinicians. With nearly 600 doctors, OU Physicians is the state's largest multi-specialty physician group. Our practice encompasses nearly every specialty. Many of our doctors have expertise in the management of complex conditions that's unavailable anywhere else in the state, region — or sometimes even the nation. 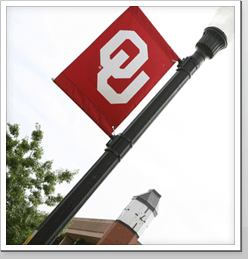 We also serve as faculty at The University of Oklahoma College of Medicine and train the region's future physicians. The University Dental Faculty Group is a full service dental practice which provides general dental services as well as dental specialty services. The philosophy of the practice is to provide its dental patients with the highest quality, most cost effective dental treatment. The Allied Health Clinics is a partnership of health care practitioners, researchers, and professionals that exist to deliver health care services and education. The Clinics are a multi-disciplinary entity with its primary goal of providing excellence in health care. Specialties include physical and occupational therapy, speech pathology, audiology, gait and balance, low vision and nutritional counseling. At the University of Oklahoma Health Sciences Center Family and Preventive Medicine Clinic we offer a team approach to health care for your entire family. Our board-certified physicians, physician assistants and clinical staff work together to provide routine health screenings, obstetrical care andphysical exams, as well as care for acute and chronic illnesses. Children's Hospital Foundation is the only organization in Oklahoma whose sole focus is the advancement of pediatric research and education. Current research and education focus areas include: infectious disease, cancer and blood disorders, cystic fibrosis and lung disease, genetic disorders, diabetes and endocrinology, developmental and behavioral pediatrics (ADHD, Autism), clinical child psychology, trauma and pediatric surgery, kidney disease, gastroenterology, pediatric training, ethics in pediatric medicine, and the care of critically-ill newborns and preemies. The Center on Child Abuse and Neglect (CCAN) is a university-based center that directs research, professional and public education, clinical services, and administrative programs in the field of child maltreatment. Since 1992, CCAN has provided high-quality, reliable, and consistent services to Oklahoma families and professionals in the area of child maltreatment. Assistive technology includes devices and services that help people enjoy full inclusion and integration in to the community. The Oklahoma Assistive Technology Center provides services, training and information to people with disabilities across the state. The Oklahoma City VAMC is a modern tertiary care GM&S facility which provides a broad range of medical, surgical, and psychological services to almost 40,000 active patients . As an integral part of the Oklahoma Health Center, the 1,400 dedicated employees provide expertise and direction in patient care, medical education, and clinical research.